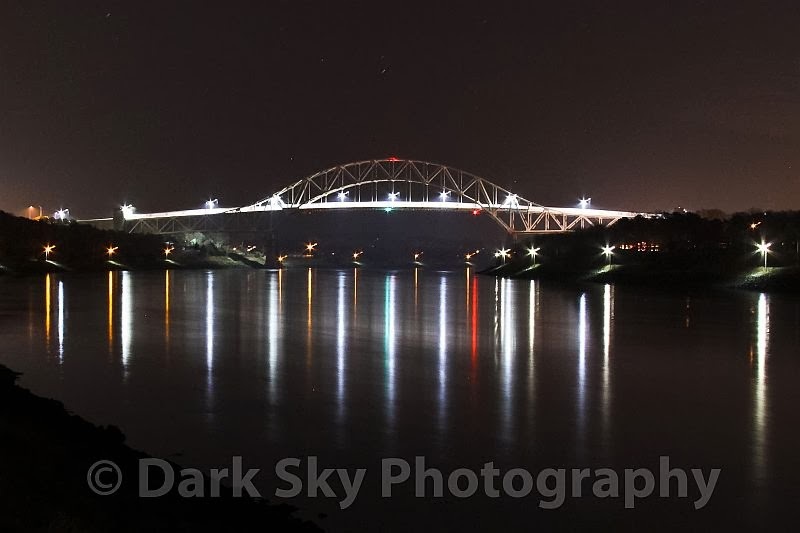 I've had a night shot of the Sagamore Bridge over the Cape Cod Canal in my collection and in my Fine Art America profile (see here) but have never been totally satisfied with it. I went one night in December to retake it and I love how it came out, but alas, still not 100% satisfied. My issues with this version are 1) the camera shook a little when I pressed the shutter causing small light trails from the many lights and stars - I should have used the remote, and 2) Because of the long shutter speed the headlights from the traffic on the bridge caused bright light streaks. Some streaks are a good thing but there were too many in my opinion. I think other than post processing, the only fix would be to go in the very wee hours when there is no traffic. I might try going right at dusk when I can get a shorter shutter speed but I have a feeling there may be even more traffic and the stars might not show. Also, I like how the long shutter speed turned the choppy water to silk.